"And I will send grass in thy fields for thy cattle that thou mayest eat and be full." Like a great wine, or a finely aged artisan cheese, Hawk's Cry Pastured Beef is slowly grown, at nature's pace. 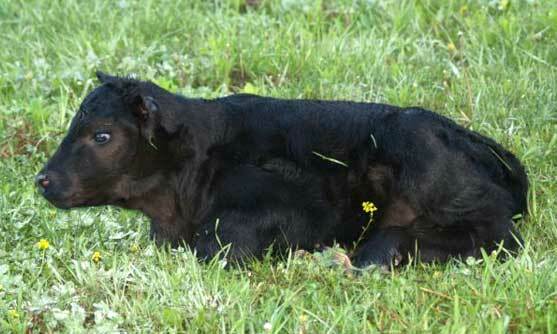 The cattle grow as nature intended – without growth-hormones, maintenance antibiotics, or accelerated feeding programs. Beyond the rich taste and juicy tenderness of Hawk's Cry Pastured Beef is a natural, healthy, and nutritious food. 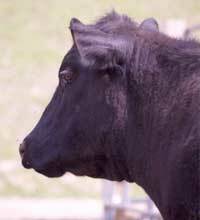 The Black Angus cattle of the Hawk's Cry herd are cross-bred with selectively chosen beef breeds to enhance meat quality and animal health. The cattle in the Hawk's Cry herd freely forage grass pasture paddocks, and are never confined in a barn or feedlot. The pastures and hay fields of Hawk's Cry consist primarily of native grasses that are well-suited to this environment. Intermixed with the grasses are a variety of legumes that balance out the nutritional needs of the herd. These grasses and legumes define the delicious and distinctive flavors only found in pastured beef. Pure clean groundwater, pumped from a deep sandstone aquifer, is used exclusively to quench the thirst of the Hawk's Cry herd. Hawk's Cry cattle are never exposed to streams and creeks possibly contaminated with livestock feces, agricultural chemicals, or contaminants from other operations. Conversely, Hawk's Cry cattle do not contribute directly to the contamination of any surface water. Hawk's Cry is a local, self-sustaining, family farm. Low-stress handling techniques are used in the care of the Hawk's Cry herd. Based upon the research and philosophy of Temple Grandin, Ph.D. of Colorado State University, these techniques insure that the herd is handled quietly and humanely at all times. This results in calmer animals, and ensures a superior pastured beef product. Most cattle raised in industrial feedlots are injected with growth-hormones to accelerate weight gain and enhance profits. The cattle at Hawk's Cry Farm are entirely free of growth-hormones. Yes, this takes much longer to raise the cattle but the result is healthier animals, and healthier food for all of us. Hawk's Cry Pastured Beef is humanly processed at a local USDA inspected and certified organic abattoir. 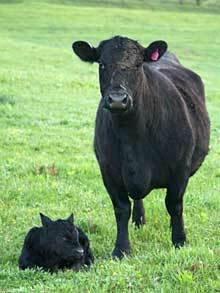 All Hawk’s Cry cattle are processed at, or before, 18 months of age to insure peak tenderness and flavor. After processing, the pastured beef can be dry aged for 10-21 days to further enhance tenderness and/or flavor, depending upon consumer preference. A cornucopia of nutritional needs are satisfied with every bite of Hawk's Cry Pastured Beef. According to Sustainable Table – "Grass-fed meat is low in both overall fat and artery-clogging saturated fat, and it provides a considerably higher amount of healthy Omega-3 fats than corn-fed meat." In her essay "Beyond Organic" Jo Robinson, author of "Pasture Perfect," maintains that grass-fed beef is even healthier than organic beef raised on grain. Detailed health benefits can be found in a recently completed study from California State University – Chico.